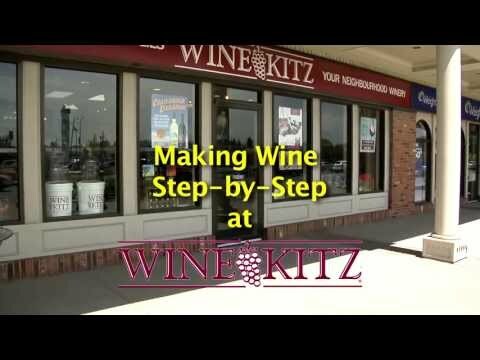 Wine Kitz on 8th, Saskatoon - About Us - We're your neighbourhood winery! We have been in the home winemaking industry for approximately seventeen years. The quality of our kits and the increasing number of avid wine consumers has created a recipe for success. Why did a small town prairie girl by the name of Dana, who had just finished her degree in commerce, decide to open a wine store? Well, #1 she was interested in retail. The idea of a wine store came out of the yellow pages of the phone book. What could be more perfect than a retail business that was constantly renewable....and so the store Winery Row became a reality. When Wine Kitz approached us about becoming a franchise we were hesitant but in 2002 we became a franchise and found that the quality of the kits and the support we received from Wine Kitz was a step in the right direction. In April, 2009 U-Vin became legal in Saskatchewan and on July 16th Wine Kitz on 8th made its mark by becoming the first U-Vin in Saskatoon. U-Vin is the process of licensed stores making wine on premise. This has definitely added a new dimension to an industry that was previously only retail. Whether you are a home winemaker or a customer wishing to use our U-Vin service our 100% product guarantee is an added assurance of customer satisfaction. Our store with its old brick and antique staircase give a genuine feel of a wine store and upstairs you will find Gary, our chief winemaker, doing an excellent job of winemaking for our customers. We also boast a dumbwaiter to bring carboys down to our bottling room where customers bottle their wine in an inviting atmosphere. If you take a trip around our store you will find many wines from around the world as well as beer kits and the necessary equipment to pursue your home winemaking. In your travels you will run into our knowledgable staff Gary, Carol, Lyle, Connor and Luke who will be very happy to help you and from your Wine Lady, Kae you will always have a special invitation to visit the store. By the way, I am Dana's Mom.